What if we could turn CO2 into fuel? We would solve the global warming problem and the fuel problem. Scientists from the University of Toronto have done just that. 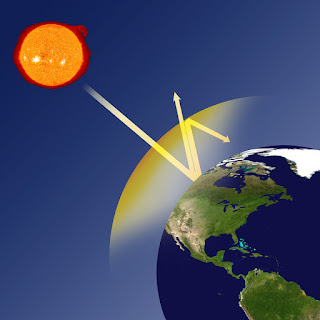 Carbon dioxide (CO2), water vapour and methane are the three main gases responsible for the enhanced greenhouse effect which causes the climate to change. CO2 is responsible for between nine and twenty-six percent of the greenhouse effect. Therefore, if we can decrease the concentration of CO2 in the atmosphere, we would be able to reduce the negative consequences of the enhanced greenhouse effect and global warming. And the good news is: we can do that now! With the new technology, developed by Min Liu and Yuanjie Pang from the University of Toronto, we can change excess CO2 into the building blocks of fuels. But, it’s important that we only convert the excess CO2, and that we still leave a little in our atmosphere because CO2 is super important for us and all life on earth. Without CO2 and the greenhouse effect, the earth’s average temperature would be a chilling -18°C (-0.4°F) instead of a pleasant 15°C (59°F). But how does this new technology work? Min Liu and Yuanjie Pang created nanoneedles, with tips ten thousand times thinner than hair. These needles conduct electricity, and this electricity attracts CO2. This is necessary because the concentration of CO2 in the air is still pretty low. Only four out of every 10000 air particles are CO2 molecules. Another problem we face when we try to alter CO2 is that it doesn’t want to change. It’s an inert molecule, which means that it takes a lot of effort to make it react with another substance and change. But, when you can bring a lot of CO2 and energy together, which the scientists in Toronto did with their newly developed device, this greenhouse gas will react more readily. 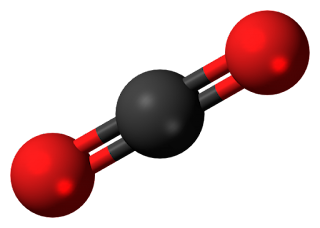 Min Liu and Yuanjie Pang managed to change CO2 into carbon monoxide (CO), which is actually a poisonous gas, but also a building block of fuel. That’s another advantage of their invention, it can not only remove CO2 from our atmosphere, it can also create a substance which can be used to create all kinds of fuels and other useful chemicals. Pang describes their invention as “we're killing two birds with one stone” to Science Daily. Their invention can also provide us with a solution for the growing global energy problem and oil shortage. This could be done since we would not rely as heavily on oil or any fossil fuels if we can make fuels from CO2 on a large scale. That’s the main challenge for now, to make Liu and Pang’s invention truly useful we have to apply it on a really large scale. And that’s a long way of research away. Click here to read more about chemistry.